Tac Force Eagle Folding Pocket Knife | BUDK.com - Knives & Swords At The Lowest Prices! Let freedom ring! 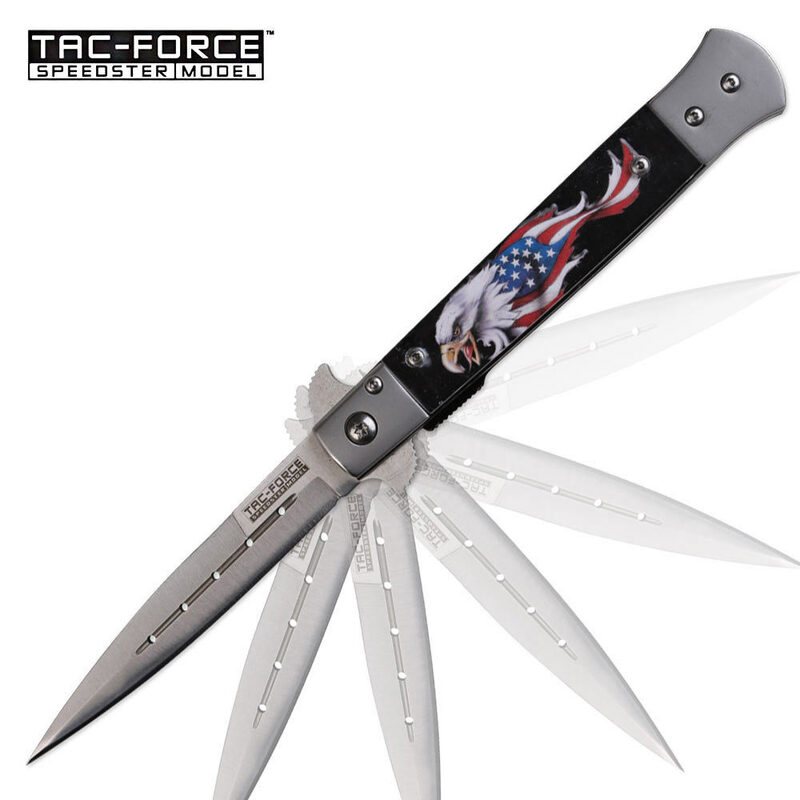 This stylish Tac Force folding pocket knife commemorates patriotic heritage with an American eagle handle design. The blade features stainless steel construction with a built-in blade spur for one-handed opening. Clip it to your pocket with the pocket clip. I just got this yesterday as a late Christmas present. Very nice. Both handle and blade are solid with quality design and sharp. Has to be worked in a little...just a little stiff but fine. I'm thinking of getting another one.